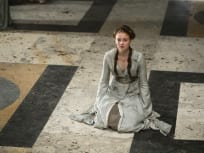 The Game of Thrones season finale is upon us. 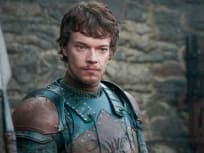 Theon calls his men into action on this concluding episode. 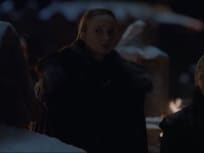 Jaqen takes issue with Arya's method for calling in her debt this week on Game of Thrones, while Jorah tries to give Daenerys advice. 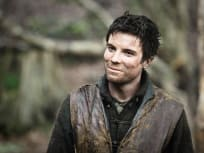 Jaime is in for some surprising company on this episode of Game of Thrones, while Theon goes hunting and Dany is given an invitation. 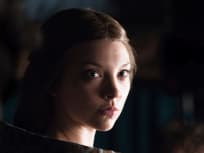 Arya worries that her cover will be blown on Game of Thrones this week, while Dany encounters major trouble in Qarth. 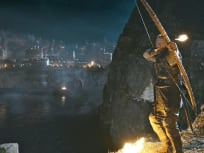 We witness the conclusion of the Baratheon rivalry on Game of Thrones this week, while Tyrion learns of a secret weapon at King's Landing. 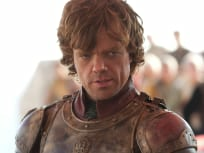 Tyrion goes to work this week, getting Shae a job and also exposing a snitch at the Red Keep. Elsewhere, Catelyn pitches an alliance to Renly Baratheon. 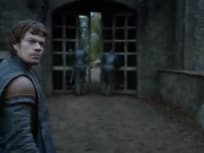 Theon returns home for the first time in years this week and squares off against his father. Elsewhere, Arya's secret comes out. 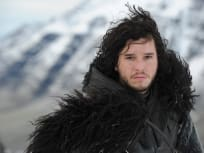 Game of Thrones is back for season two! This premiere picks up not long after events from the season one finale. I will hurt you for this. A day will come when you think you are safe and happy, and your joy will turn to ashes in your mouth. And you will know the debt is paid. Has anyone ever told you you're as boring as you are ugly? Permalink: Has anyone ever told you you're as boring as you are ugly? 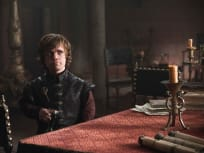 Game of Thrones Round Table: "Valar Morghulis"
Game of Thrones: A Novel Approach to "Valar Morghulis"